Selling Restaurants presents this large double franchise drive thru restaurant business that grossed about $315,000 last year. It is located on a main arterial and directly across from a large grocery store and shopping center. The restaurant is newly renovated and includes a walk in cooler, walk in freezer, bread ovens, hood, drive thru communication system, and drive thru menu system. The valuable top of the line furniture, fixtures, and equipment are included in the asking price! Everything is in excellent shape and looks brand new. Each franchise business compliments the other. One franchise serves fast food sandwiches and the other serves desserts. The asking price includes the franchise rights to operate both franchise businesses but a new owner also has the option to change things entirely and go with one or two new concepts. The location, size, capabilities, and franchise options make this a rare and valuable turn key drive thru business. This is an Add Value Alliance, Inc. Listing.This is a Larry Braden listing. 10AM to 9PM. Fiday 10AM to 10 PM. Saturday 10AM to 9 PM. 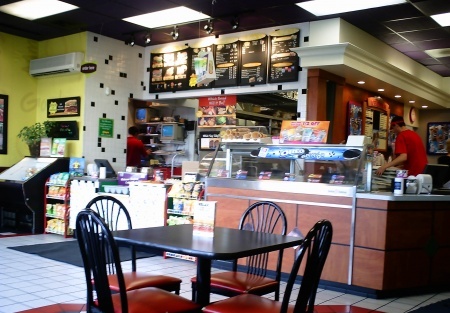 2 Franchise Businesses for Sale!